Caldy Bowmen have been busy fundraising for the charity Bloodwise, in memory of Adam Clift, a junior member of the club who passed away one month before his 18th birthday, after falling ill with blood cancer. Adam had been with the club for several years and was a promising archer. The Club raised £655 through various events, including a 'Frostbite Shoot' on New Year's morning. A cheque was presented to Caroline and Richard Clift, Adam's parents, by Club Chair Carol Gardner. Congratulations to Sheila Jones for winning the Knockout Handicap Competition on Sunday 10th March. Sheila also won the Lady Recurve title in the club championships. 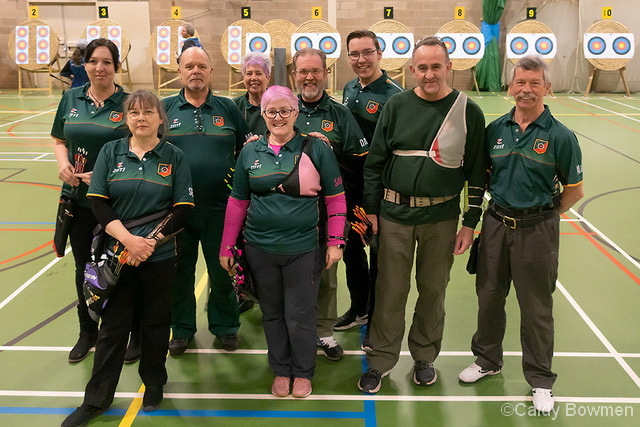 The Cheshire Archery Association held their AGM, followed by the Senior Indoor Championships on 3rd March 2019. Caldy Bowmen's John Gardner was narrowly beaten into fourth place, with only a couple of points in it. However, John didn't leave empty handed as he was awarded the Lord Paramount's prize. Congratulations to Rob Hargreaves, who finished in first place in the U18 Junior Gent Compound class, at the Cheshire Archery Association Junior Indoor Championship, held at Goldcrest Archers in Tameside. Caldy Bowmen Archery Club's first archery beginner's course of the year commenced on Sunday 10th February 2019. The event had a good turnout of members to help make the running of the course go smoothly and also participants, keen to sample the sport of Archery. The current course lasts for six weeks, with the next planned course due to start in June 2019. 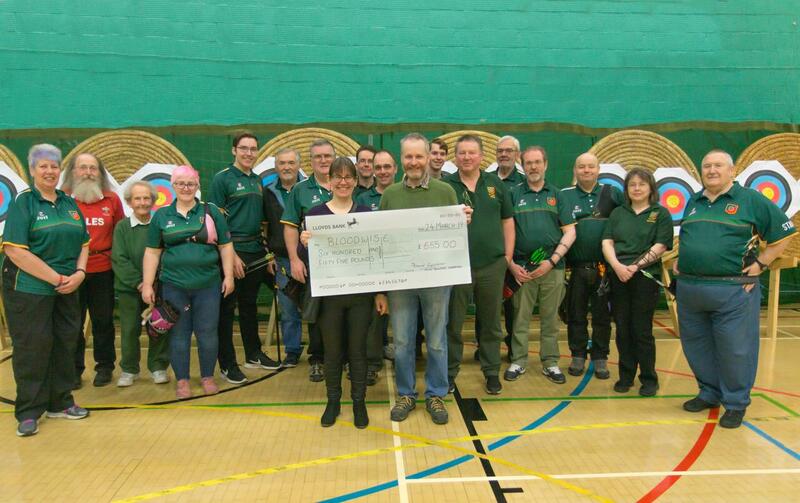 Cheshire County Bowmen hosted a weekend of archery over 2nd and 3rd February 2019 at their indoor shooting venue. Caldy Bowmen were represented on both days in the individual and teams events. Rob Hargreaves did well, in what was only his second competitive shoot, finishing in first place in the Junior Gent Compound class for the individual event. Caldy Bowmen entered a compound and recurve team, but unfortunately were not successful in the team events on the second day. 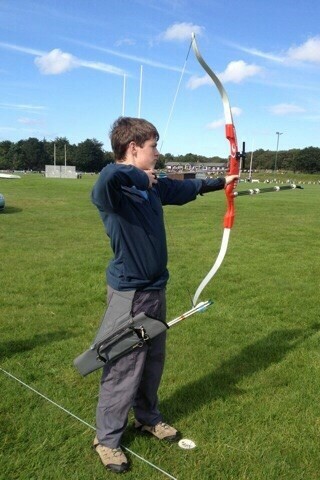 However Rob was the highest scoring Junior Gent Compound archer and took home another trophy for his efforts. Well done to everyone who participated. Congratulations to Sam Hamlett, for finishing in 3rd place in the Ladies Compound class at the Gronant Bowmen WA18 Tournament held on 27th January 2019. Sam had to compete first in a qualifying round and then in three head-to-head knockout stages. It's a fantastic achievement. Thanks to everyone who joined the Frostbite Shoot on 1st January 2019 at Paton Field. It was a lovely morning, if a little chilly! 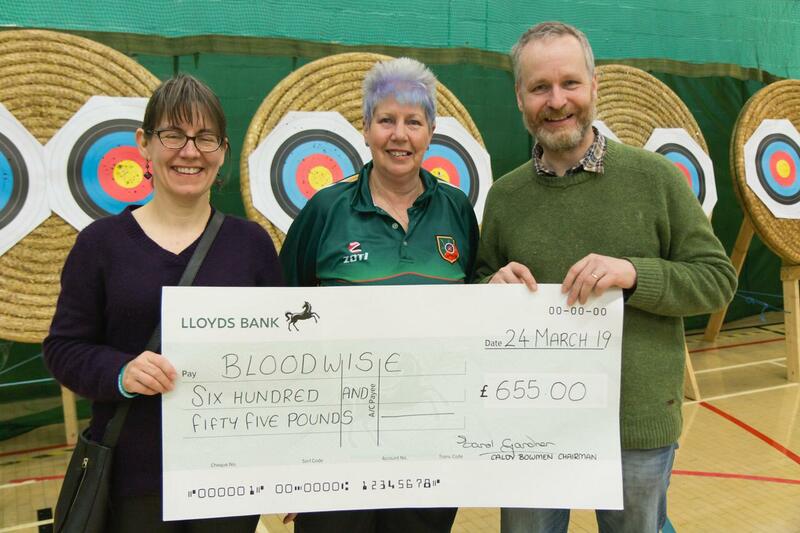 We shot 36 arrows at 30m and raised £55 for the Bloodwise charity - What a great way to start the New Year.